The recent elections in Maldives and Nepal pose new challenges to India’s regional policies. The challenges are of different character but an overarching commonality also exists. Indian diplomacy averted an impasse in the ties with Maldives through a course correction through past several months. When the “pro-Indian” elected president was overthrown in Male last year, Delhi took umbrage. Its fury was fuelled by the summary termination of a highly lucrative contract of an influential Indian firm for managing the Male international airport. But Maldives pushed back and the futility of the pressure tactic compelled Delhi to rethink and change tack to an equidistant stance between the warring Maldivian political parties. Thus, although the recent presidential election in Maldives produced a surprise outcome, Delhi could engage the new power centre with alacrity. President Abdulla Yameen accepted Prime Minister Manmohan Singh’s invitation to visit Delhi for his first overseas trip as head of state. However, as any passionate reader of Joseph Conrad would vouchsafe, island states wear a deceptively languid look. There is that certain edginess in the air. Curiously, one major decision taken by the new government in Male is to introduce Arabic language in the curriculum of Maldivian schools. The political elites have not hidden their tilt toward “Islamization” of the Maldivian society. One way of looking at it is that this is only a variant of cultural nationalism, which is sweeping over the region – India included. But then, it also carries the subtle overtone of an attempt to differentiate the island nation from the ethos of the Indian subcontinent. Maldives is a speck on the strategic landscape of the region, but India will be compelled to negotiate with it in a spirit of genuine equality and mutual benefit. More so, since the new power dispensation in Male is cohesive and enjoys diverse options in its external relations in the kind of multipolar setting in which the US’ rebalance to Asia is taking place. 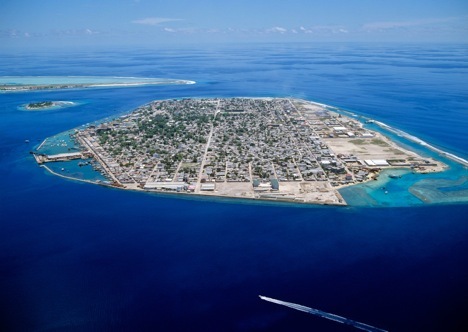 The US has been engaging Male with a view to secure access to the Gan airbase, which is situated between Diego Garcia and the Malacca Strait and used to be a vital staging post for the British operations against the Japanese aggression in Southeast Asia during World War II. Fortunately, the Indian foreign policy establishment doesn’t come under pressure from domestic lobbies while navigating the relations with Maldives. But that is not the case with Nepal. The results of the recent election to Nepal’s constituent assembly come as a joyous outcome for the Indian establishment. The Nepalese Congress, which is closely linked to the Indian elites and bourgeoisie, has emerged as the single biggest party that would lead the new coalition government, while its coalition partner Communist Party of Nepal (United Marxist-Leninist) also happens to be an entity that Delhi can do business with. Most important, the United Communist Party of Nepal (Maoist), which the Indian establishment detested, has been routed. The irreducible minimum is that the new political dispensation in Kathmandu can be expected to respect Indian interests. Considering also the umbilical cords that tie the Nepalese Army to the Indian military establishment and the ascendancy of the right-wing monarchists rooting for “Hindu” Nepal, India seems in command. But herein lies the challenge. Indeed, Delhi could make things difficult for the Maoists and when the political deadlock ensued in the drafting of a new constitution, the blame came to be put on the Maoists. But Maoists are far from a spent force and Nepal needs consensual politics in the difficult period ahead to draft a new constitution and stabilize the democratic polity. The role Delhi plays will be crucial. A prioritization is needed in the Indian policies: What comes first: “influence” or stability? This is a fundamental choice India needs to make. Be it in Maldives or in Nepal, Indian policies should focus on regional stability. The critical need is to have a stable regional environment conducive for development. Taking a leaf out of Russia and Eurasia, India needs to come up with its own projects of Customs Union and South Asian Union. And as the region grows and integrates, India’s “influence” also will rise.